Locking himself as the first choice opener, Aaron Finch said that they are yet to decide on who will bat at No.3 position and will take a call in the next few days. While applauding Steve Smith’s selection in the team, Finch has also added that his spot in the final playing XI will be taken later. 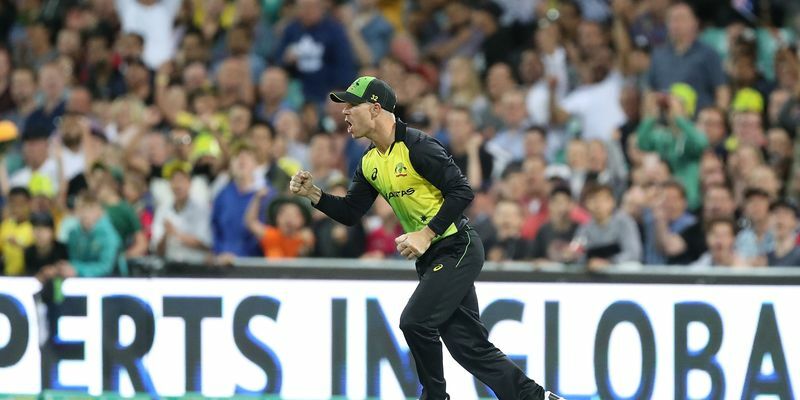 The duo of Smith and Warner have been selected in Australia’s 15-man squad for the World Cup as the national selectors decided to leave out in-form batsman Peter Handscomb and Josh Hazlewood. This threw an interesting conundrum as far as the opening slot is concerned and if Warner comes out to open, then one of either Finch or Usman Khawaja would have to leave their preferred position. Historically, the trio has done well at the opening slot and their returns dwindled if they are subjected to the one-drop position. While the selectors gave little to no insight into the conundrum, Finch solved it a fair bit by saying, the defending champions will head into the World Cup with a left-hand right-hand opening combination, and that’s why it would be a direct tussle between Warner and Khawaja for the second opener’s slot with Finch being the only preference thanks to his right-handedness. "There's going to be plenty to think about over the next 6-8 weeks ... to try and find our best combination and the best way to structure up our side. Davey's record at the top is unbelievable and Uzzie's been in great nick recently. Whichever way we go, there's scope to mix and match that as we go through the tournament. We'll work that out, there's nothing set in stone right now," Finch said in the team announcement press conference, reported Cricbuzz. "I think all three of us could (bat at No.3). I've probably got the least experience out of all three of us in that position in limited-overs cricket. It's something we'll juggle and tinker with. I think a left-right combination is probably the way we'll go, it just depends on which left-hander (opens). "Khawaja is a class player and the form that he's been in over the last six months in one-day cricket has been unbelievable. He's done everything he can, he's got big runs and big hundreds in important games and when a series has been on the line, so that's a huge thing. And when he gets in, he's so hard to stop as well." However, what Finch further added made things bit clearer and hints at the possibility of Finch-Khawaja opening, with Warner batting at the No.3 position. "We're both pretty relaxed out in the middle," he said. "We've known each other a long time and we've played quite a bit of cricket together. That's what makes partnerships quite unique at times. The ability to sort of have personal relationships as well that goes quite a long way on the field. "Being friends for 15-16 years, that's a lot to fall back on and when you're under pressure you go back to your default. And knowing someone inside-out is crucial I think and that helps. You read each other a lot better, you get a sense of body language and how they're feeling without actually having to talk about it. I think that's the real advantage of having good close relationships." Warner showed no signs of rustiness on his IPL return and played with composure for Sunrisers Hyderabad. Apart from a couple of failures, he has largely been a huge success this IPL and that accentuated his selection in the team, in spite of a year-long absence from top-flight cricket. Steve Smith, on the other hand, was not as successful as one would’ve wanted from him and apart from his sluggish 73 against KKR, he remained largely mediocre. But Finch backed the duo to excel at the World Cup. "I'll say yes (Smith's selection); the short answer is yes. All of that stuff is up for debate. Now that the squad's been picked and we've got 15 to pick from, it makes things a lot clearer and we can start mapping that stuff out. When you're still looking at 18 or 19 players to find the 11, I think it's a lot tougher. "As world-class players, you always put pressure on yourself to perform and I think that's what great players do well, they (Warner and Smith) perform under pressure when they're needed. Obviously, the form that Davey has been in has been unbelievable in India. I know that he's as hungry as he's ever been to perform well for Australia. I don't see that being an issue at all for him. Steve has probably been a bit slower to start and his injury has probably held him back slightly. But we've seen in the past that they are two of the great players in international cricket. I've got no doubts that they'll be up and going and firing," he said.